Tyler D. Yeager focuses his practice areas in creditors' rights and collection, mediation, corporate and commercial transactions, civil litigation, and estate planning. Tyler became a registered Civil Mediator in June 2017. 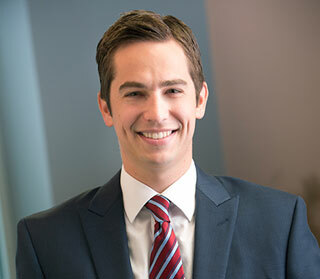 Tyler is a graduate of Manchester University in 2009 and The Valparaiso University School of Law in 2012. He was admitted to practice before the Supreme Court of the State of Indiana in 2012. He is a member of the Allen County Bar Association, Indiana State Bar Association, American Bar Association, The National Association of Retail Collection Attorneys and Young Leaders of Northeast Indiana.